So, vampire lore gives rise to Bram Stoker’s Dracula, which gives rise to Anne Rice’s Lestat novels, which gives rise to Buffy the Vampire Slayer, which more immediately gives rise to the abominable Twilight and a horde of other teen vampire romance stories, among them, The Vampire Diaries. Sometimes I wonder what the literary masters of ages past would think if they could see what their work and their creations have been gradually turned into. 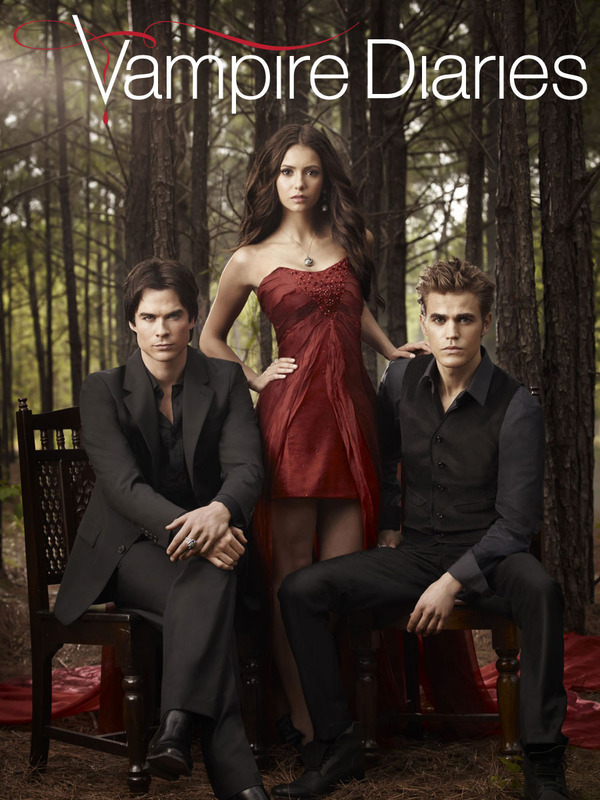 When I first heard about Vampire Diaries, I had no intention whatsoever of ever subjecting myself to it, ever. One Twilight experience per lifetime is quite enough, thank you. I had no desire to see yet another moody teenage drama starring the idealistic high school girl and the brooding, self-loathing vampire. Or two such vampires, as it apparently involved a pair of vampire brothers who both want the girl. Yeah, right, whatever, thank you, no thank you! And then I saw some clips of Caroline on YouTube. I suppose it’s actually pretty beneficial, in a way, to be coming in on this show so late. This week, it begins its eighth and apparently final season. Meaning, I have both the advantage of hindsight, overlooking most of the series as a whole, and the thrill of anticipation, appreciating the farewells, and wondering where the show will take us for its final destination. So what do I think of the show? Well, I felt pleasantly surprised by the earlier seasons, at least. The moody vampire had some depth to him and the saintly girl had some teeth, among other surprises. There were some “WTF” moments, but, generally, I enjoyed the plot and the characters both. They weren’t perfect people, but they did what they thought was best for each other and the community around them, rather than focusing solely on themselves. There was some actual reasoning behind the connections all these characters formed with each other. 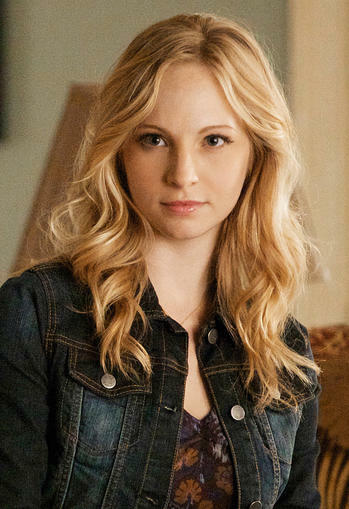 Darn you, Caroline, for being so fantastic that I put up with all these flaws! But as the seasons progressed, things became… well, the characters lost their endearing, selfless charm and the plot became repetitive. Oh, big ancient evil lurking and returning and they try to stop it but fail and fight against it and then they work with it for some common goal. Enemies and allies are very interchangeable, apparently. Even the tension felt flat when death itself became so impermanent. They’re alive, they’re dead, they’re alive, they’re not alive but they’re not dead, they’re dead again but still hanging around, they’re alive again… it got very difficult to take all these funerals and farewells seriously. I do still enjoy how even the bogeyman’s bogeyman has a bogeyman. And while I am annoyed by how the characters slowly began tolerating, ignoring, and even excusing the vile acts of their monstrous friends, I still found it suddenly poetic, at the end of last season, that it was the two worst monsters left on the cast who behaved most nobly, taking a huge risk and making a sacrifice for their friends. And now that what they are doing is truly not their fault, for the first time in a long time, I am actually interested in what happens to them. It’s also worth noting how one could easily argue that, in the face of all these terrifying monsters of the night, perhaps the scariest creatures in the world are the humans. Things like that can give any show a much richer texture. Which is another disappointment, how the show seems to have drifted away from that as well, over the years. I do find myself somewhat hopeful, entering the final season, that they can end on a high note. If they just have the characters cut through their personal crap and show some compassion again, and if they can just make this final plot arc feel more fresh, somehow, than the last several seasons have been, then they might just leave us wishing we could have had more. With a faint hope that they might nudge those numbers a touch higher before the end… but unless the season premiere is nothing short of astounding, I will not be adding it to my weekly lineup. EDIT: The final season premiere was astounding. They more than nudged the numbers up in my book, especially with the series finale. Revised Rating: 9 stars out of 10. This entry was posted in Tuesday Review, TV Shows and tagged The Vampire Diaries. Bookmark the permalink.